Hi, It's me checking in with some Garden Stars progress. 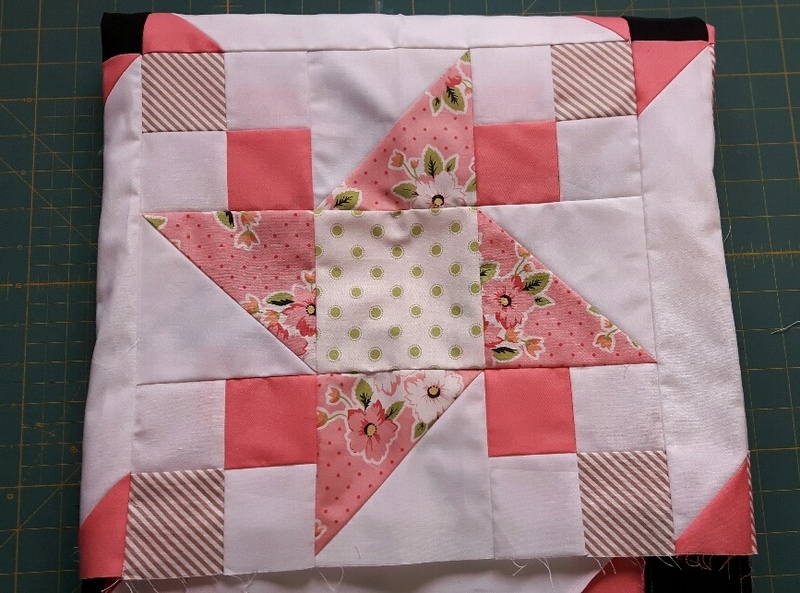 Me and my Mum have both gotten the main body of the quilt together, and here is a sneak peek. 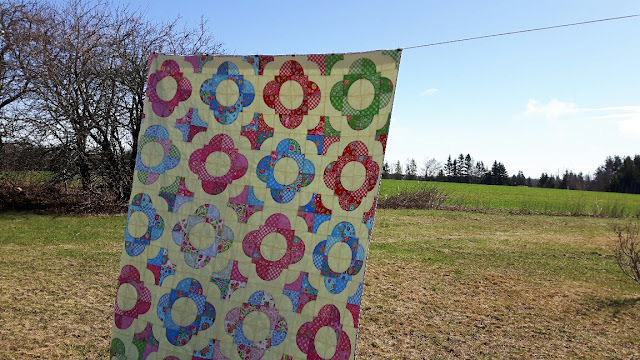 We have to take a small break from this quilt as we have decided to extend the sashing and we are also adding a green border( need a break from all that pink, LOL) and we had to place an order for the needed fabric. In other news.... I have added a link to my " Dancing Daisies" tutorial which was originally posted on the ModaBakeshop. I just recently finished quilting my second one. You can find a link to the tutorial here and in the tutorials tab at the top of the blog.